WAIT UNTIL YOU SEE THIS CUSTOM BUILT HOME THAT SITS ON OVER 4 ACRES OF WOODED BACKYARD YET STILL IN A SMALL NEIGHBORHOOD OF UPSCALE HOMES. 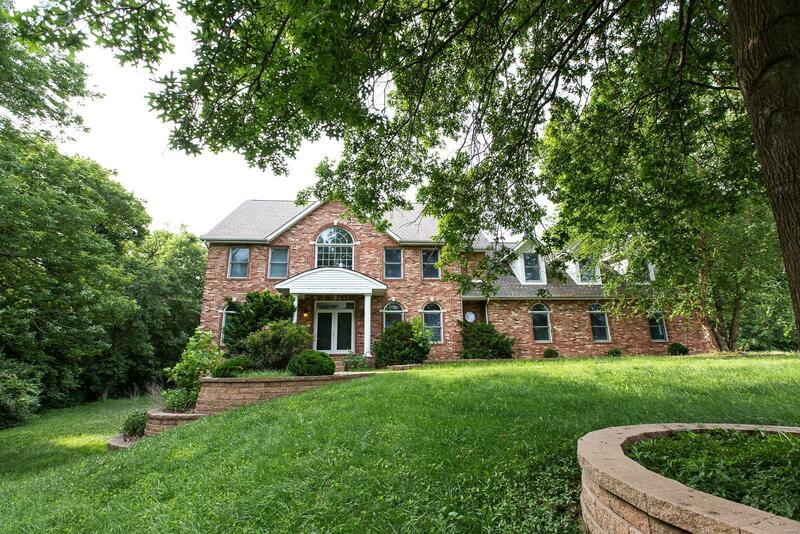 This 2-story home has beautiful views and sits far off the road for privacy. Inside you will find a spacious kitchen w/ granite countertops, an island w/ breakfast bar, stainless appliances, tile backsplash & a walk in pantry. The living room features a gas fireplace & is open to the breakfast nook w/ sliding glass door to the large deck overlooking the backyard. Upstairs is a master bedroom suite w/ tray ceiling and the bathroom offers granite countertop, a jetted tub, tiled shower & a walk-in closet. There are four other spacious bedrooms, one w/ a bonus room attached that could be used as a kids play room, nursery or whatever you need the space for. The home has a geo-thermal heating/cooling system to keep utility costs down, a finished walk-out basement w/ 9' ft ceilings, updated light fixtures, NEW carpet, fresh paint & a safe room. MUST SEE!